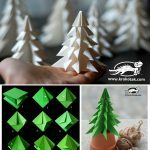 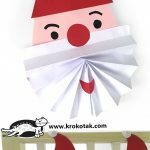 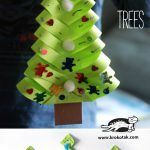 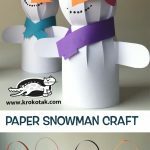 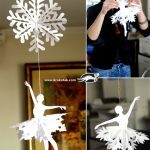 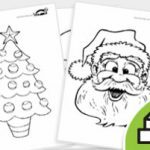 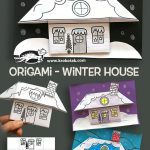 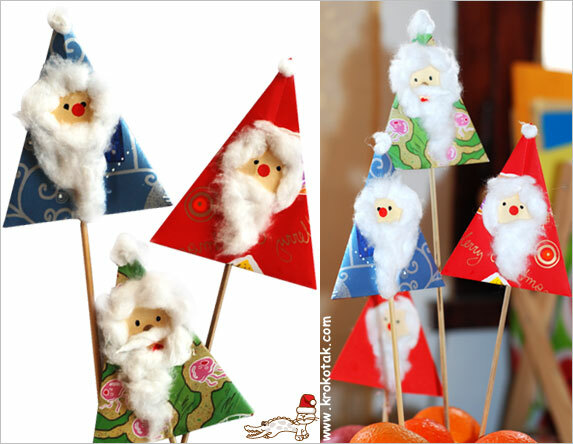 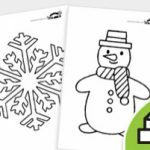 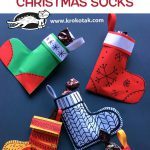 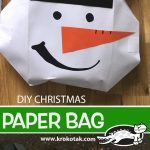 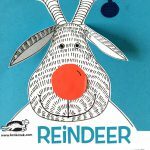 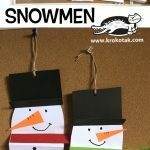 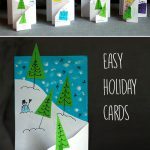 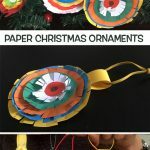 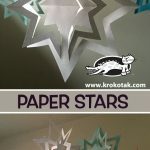 A square piece of colored paper (you can use all kinds of wrapping leftovers), some cotton wool, glue and a punch-hole can turn into very interesting Christmas cards – and that’s not all! 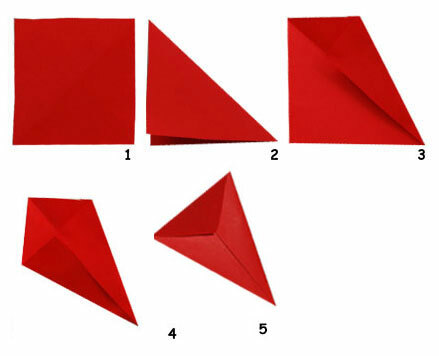 Follow the instructions for folding the paper. 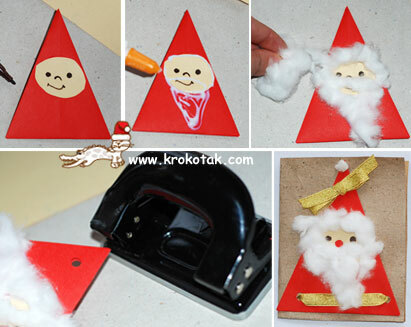 When you turn it around, you could make Santa, a Christmas tree or something else. 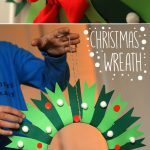 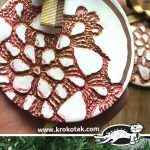 We punched holes in them and embellished them with beautiful Christmas ribbons. 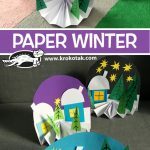 We used the tiny perforated circles to make snow.